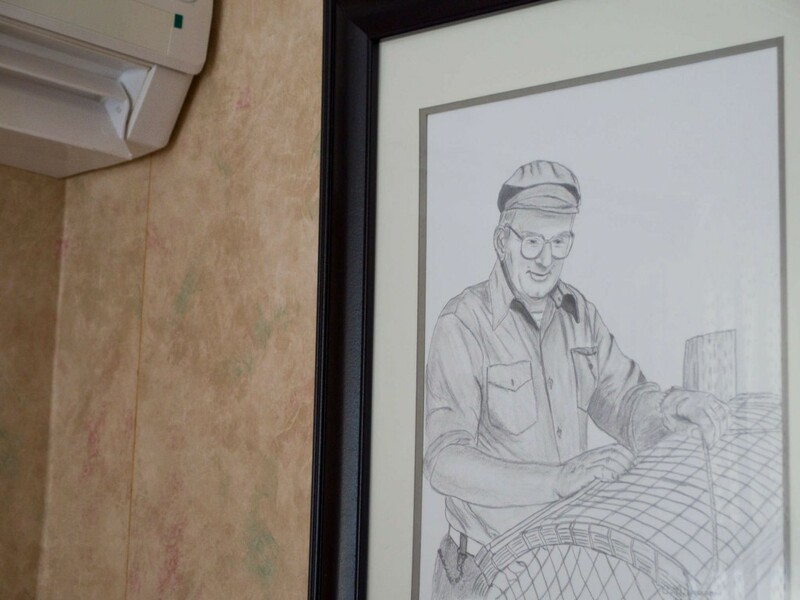 HomeWarming helps a former fisherman save money and feel more comfortable in his mobile home on the edge of the cold Atlantic. And that’s something you definitely want to do. While his house may be small it has a view as big as the ocean. Perched at the water’s edge, his home overlooks the entrance to Halifax harbour; the Devil’s Island lighthouse stands guard over some rocky shoals. A seagull Norman occasionally feeds sits on the deck rail, enjoying the view with us, stealing a glance every so often at the humans sitting inside. 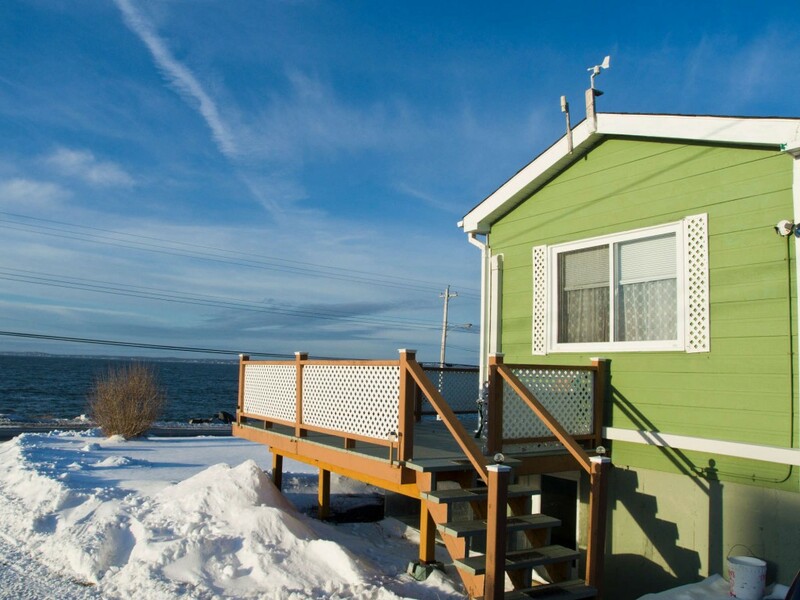 But as expansive and relaxing as his Atlantic vista is, it’s hard to fully enjoy it if you are cold – or keep hearing the furnace grind on, spending your money. He’s lived in the mobile home for almost 45 years. He had a woodstove in the basement, and an oil furnace that kicked in when needed. He cut his own wood, but could still spend well over $2,000 a year for heating oil. A few years ago he switched to a heat pump as his primary source of warmth. The oil furnace was relegated to an increasingly infrequent backup. Norman had made his living as an inshore fisherman. “I caught everything,” he says, “cod, haddock, lobster, crab.” His old Cape Islander boat sits in the snow in his backyard. Retired going on 12 years now, he does miss his time on the water. “But fishing didn’t earn you a lot back in my day. I remember when I was young, you’d get a cent a pound for cod, and you had to salt and dry it first,” says Norman. “So I don’t have lots of savings.” He lives alone, not counting Daisy, his 10-year-old Boston terrier. The heat pump and some upgrades installed through Housing Nova Scotia made a difference in both comfort and savings, but in the winter “you could still feel the cold coming up from the floor.” The heat pump had to work hard, and that can increase power bills. Then Norman heard about HomeWarming from his city Councillor. HomeWarming offers no-charge energy assessments and home upgrades to income-qualified homeowners. If an efficiency audit discovers that upgrades will help reduce heating and power bills, they will be installed at no cost to the homeowner. Clean Foundation and Efficiency Nova Scotia help the qualified homeowners enjoy these upgrades. Clean looks after electrically heated homes, while Efficiency takes care of houses with non-electric heat sources. The program is supported by Nova Scotia Power and the Province of Nova Scotia.